Generally condemned in consequence of these actions[¹] as a disturber of the peace, Charles- the only sovereign of the powers engaged in the First World War who had conscientiously sought peace- was banished to the Portuguese island of Madeira, without a source of income… Madeira was Portuguese territory, Fátima not so very far away. Had Charles and Zita heard of Our Lady’s coming there? On the 12th of April in 1918, the last chance of a peaceful resolution to the First World War was destroyed by French Prime Minister Georges Clemenceau. Nearly a year before on the 13th of May in 1917, Our Lady appeared to three shepherd children at Fátima in Portugal, calling upon all who would listen to pray the Holy Rosary for the end of the war and the return of peace, which the Holy Father, Pope Benedict XV, had been advocating since the start of the war. No one among the great powers would heed the Pope’s call to peace, save for one devout son of Our Lady, the Most Catholic Emperor whose peace offers the Entente would utterly reject, Karl of Austria. Since the beginning of his reign, Emperor Karl had been dedicated to the support of peace, not the false peace of “victory at any cost” but the true peace which is the tranquility of right order. Through the help of his brothers-in-law Sixtus and Xavier of Bourbon-Parma (three of the brothers, Elias, Felix, and René, fought in the Austrian Army, while Sixtus and Xavier held commissions in Belgian Army), the Emperor contacted the Entente Powers in order to negotiate peace. A key issue of contention was the province of Alsace-Lorraine, comprised of ancestral territories of the Houses of Hapsburg and Lorraine, most of which had been unjustly seized by French in the 18th Century, before being annexed to Prussia in the Franco-Prussian War. In his letter delivered in March of 1917, Karl promised to attempt to gain the support of the Central Powers for any “just French claims regarding Alsace-Lorraine,” territories of which he was by historical right the legitimate sovereign. This was not the wholehearted support of nationalistic claims which his enemies in France and the Central Powers later presented it as. 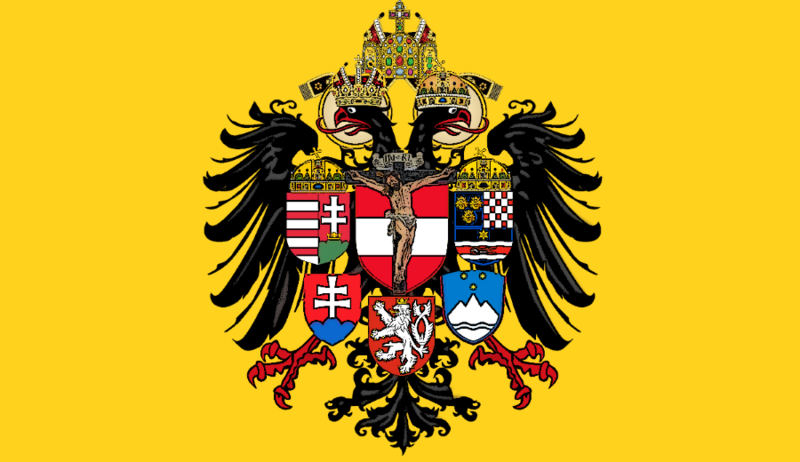 He refused Italian claims to the Austrian territory of South Tyrol, and yet offered to pay reparations to Belgium for the Prussian occupation which Austria-Hungary barely participated in. It was the claims of the nationalistic Kingdom of Italy which ultimately undermined the peace effort, although the Emperor continued to negotiate through Count Nikolaus Revertera von Salandra (father of the heroic Legitimist Resistance fighter Peter Revertera von Salandra) throughout the spring and summer of that fateful year. The French General Staff promised the creation of a greater Austro-Hungarian alliance or “Danubian Confederation” including an independent Poland and Serbia, but with the entry of an America headed by ardent Leftist Woodrow Wilson into the war, the chance of peace was rapidly diminishing. While Our Lady in her apparitions at Fátima foretold that “This war will end, but if men do not refrain from offending God, another and more terrible war will begin…” the great powers of the world set about ensuring the beginning of a more terrible war, a war which would end in the defeat of one evil tyranny and the victory of another equally evil regime. This was regime of Soviet Russia against which the Queen of Heaven warned while the world watched, many in admiration of its power. But the faithful son of Mary, though he did not know of his Heavenly Mother’s warnings, saw the danger clearly himself. Emperor Karl refused to allow the vile revolutionary Lenin to pass through the territory of the Empire, comparing the Bolshevist to a trainload of the Black Death plague. In fighting the war he strove ever to use only just means, in contrast to the ideology of total war which leads to the horrors of the nineteen-forties. 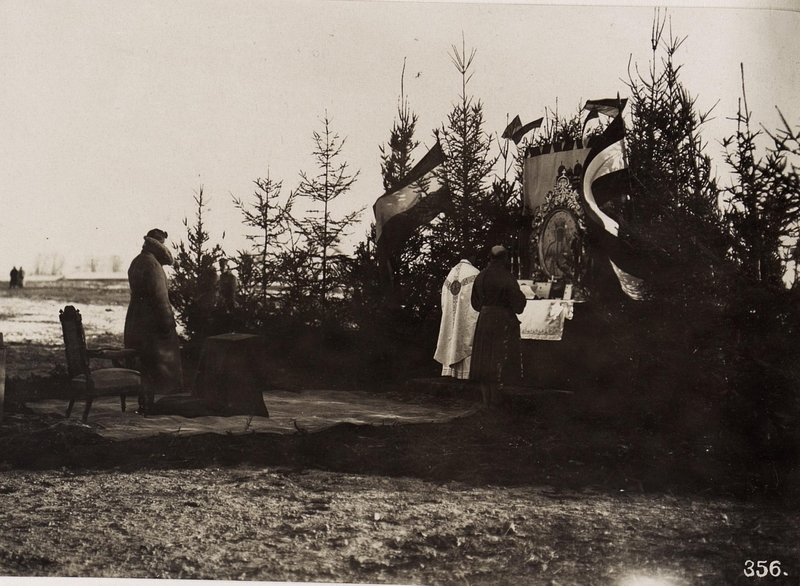 Through all the horror and heroism of the Great War, Emperor Karl faithfully prayed the rosary, attended Holy Mass (often in the field of battle with his soldiers as depicted in the photograph above), and attempted to do the Will of God in all things, no matter how difficult the circumstances. Perhaps the most difficult circumstance was when French Prime Minister Clemenceau revealed the contents of the secret peace proposals to the scorn of both the allies and the enemies of the Empire. The Emperor, trying to clarify the situation and increasingly exhausted, allowed his personal integrity to be comprised by signing a false declaration modifying the text he had originally sent, but this was only done when his foreign minister Count Ottokar Czernin, threatened to commit suicide (thus endangering his immortal soul). Czernin himself had already destroyed the Emperor’s original declaration on the exposure of peace proposals, destroying the only chance of his country’s survival after the war. It seems that we will never know whether Emperor Karl learned in this life of Blessed Mary’s message of peace at Fátima. However I am sure that Our Lady knew of her son Karl’s efforts to bring peace to the war torn world, and smiled at his unwavering devotion to her Divine Son, the true Prince of Peace. Here is something this week–the new Chancellor of Austria elected, Sebastian Kurz is leader of the Austria People’s Party which is a pro-Catholic, anti-socialist party.